NJ Burkett reports on the bone-crushing incident involving a Long Island man and his BMW. LONG ISLAND, N.Y. -- A software engineer on Long Island is without a thumb after the self-closing doors on his $70,000 BMW chopped it off, and now, he's taking the automaker to court. Godwin Boateng says the pain was unbearable. 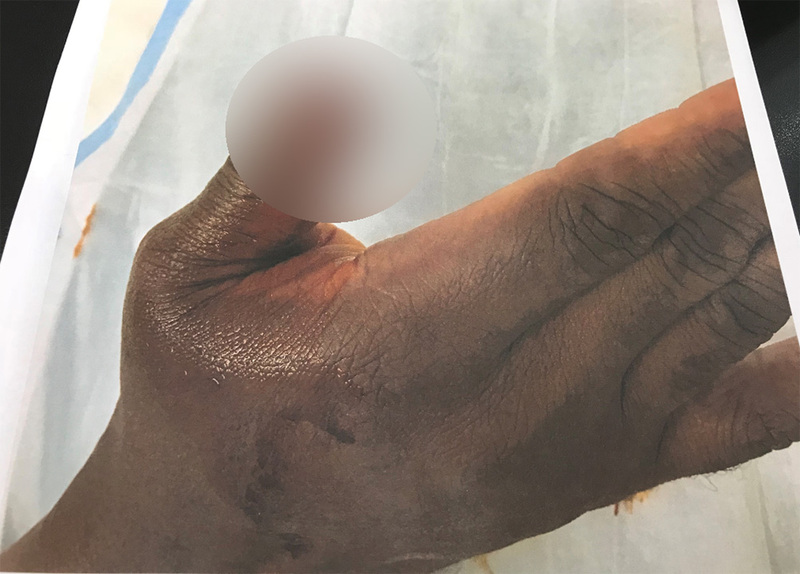 His right thumb was completely severed and bleeding profusely after it was crushed in the door of his X5 SUV with doors that latch automatically. "I can't describe it," Boateng said. "It was excruciating. It was painful." It happened as Godwin was getting out of the car on a busy road, where he got squeezed against the door. It automatically closed on his thumb. "The thumb got inside, and all of a sudden it just snapped, it snapped closed," he said. "I was just hysterical, screaming.I didn't know what to do." Surgeons were unable to reattach the tip of his thumb. "He can't even button his shirt," attorney Avi Cohen said. "He can't hold plate. He can't hold a cup normally. They had to shear the bone off. His nerves and tendons are damaged. The pain will never go away." Cohen says that since at least 2002, the X5 and other models were equipped with electric motors that pull the doors closed at the last quarter inch with tremendous force. There are no sensors to prevent it, unlike the power windows of on the same vehicle. "There should have been some sort of mechanism to prevent somebody from having to lose a finger," Cohen said. "It's like a guillotine. That's what it does. Once it operates, it has a mind of its own." Cohen has filed a lawsuit against BMW on Boateng's behalf. "It has to be out there," Boateng said. "People need to know this can happen. It happened to me, and people need to be careful." Jay Hanson, an executive customer assistance manager for BMW, told Boateng in writing that there was no malfunction in the vehicle and that the automaker would not accept responsibility for the incident. Hanson did not return our phone call this afternoon.